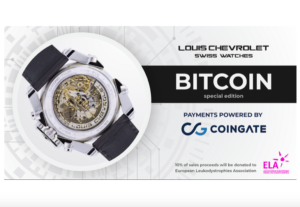 Bitcoin Press Release: CoinGate, cryptocurrency payment processor collaborates with Swiss top-tier watch company Louis Chevrolet that creates a special edition of Bitcoin watches, sales of which will support European Association Against Leukodystrophies (ELA). Earlier this year, Louis Chevrolet Swiss Watches has launched a limited edition of 99 chronographs that are specifically developed for Bitcoin enthusiasts. Each timepiece has a unique design and can be bought only with a major cryptocurrency, Bitcoin. CoinGate, as a cryptocurrency payment processor, secures every transaction and provides information about the exchange rate. Before, CoinGate has reported on its direction towards promotion of cryptocurrency adoption among businesses. The donations, 10% of sales of each watch, will be given to the European Association Against Leukodystrophies. ELA is a notable organization that fights against the rare genetic disease that destroys myelin, what on its turn protects the central nervous system. Since the foundation of the organization in 1992, ELA helped to encourage 447 research projects around the world for this cause. Louis Chevrolet, based in Porrentruy, Switzerland, is a Swiss watch brand active in the watchmaking industry since 2006. The know-how and the innovativity of the designer enables the company to offer high-end quality Swiss Made watches at a very attractive price. Launched in 2016, the new lines of the brand (LC-01 & Chrono-Tour) are a complete renewal of the philosophy of the brand. 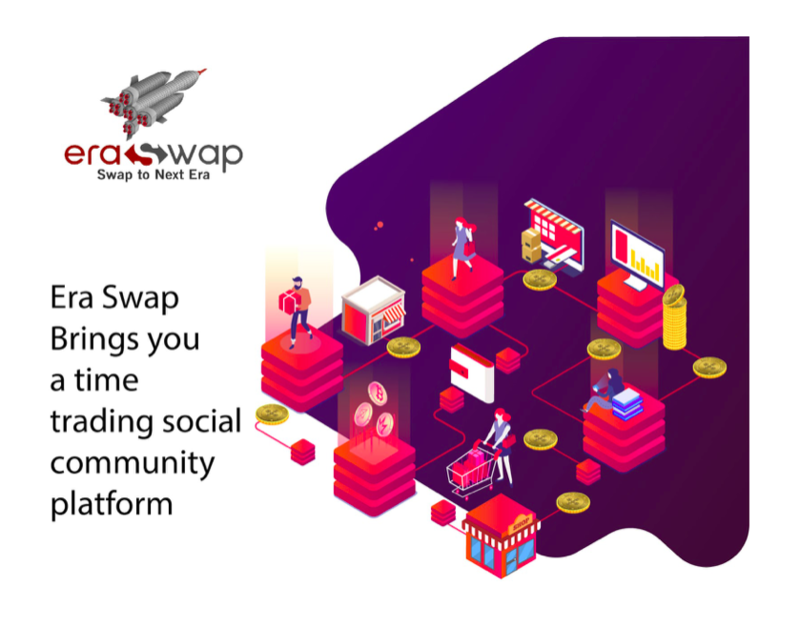 The distribution strategy is only via its online-shop, which allows the customer to have the fairest price. ELA was founded in 1992 and became tax-exempt in 1996. The European Association against Leukodystrophies unites affected families in their fight against a rare genetic disease that destroys the myelin, the white substance protecting the nerves of the central nervous system.Every week, 20 to 40 children with a Leukodystrophy are born in Europe. Since the foundation, ELA has been able to support 447 research projects around the world with a total sum of 42.5 million Swiss Francs. Fostering research and development of therapies is our top priority. Besides that, we also financially support affected families in their difficult everyday life. 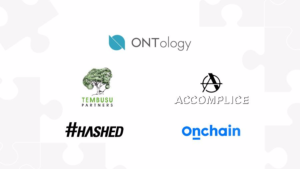 CoinGate (coingate.com) is the source of this content. Virtual currency is not legal tender, is not backed by the government, and accounts and value balances are not subject to consumer protections. This press release is for informational purposes only. The information does not constitute investment advice or an offer to invest. About Bitcoin PR Buzz – Bitcoin PR Buzz has been proudly serving the PR and marketing needs of Bitcoin and digital currency tech start-ups for over 5 years. Get your own professional Bitcoin Press Release. 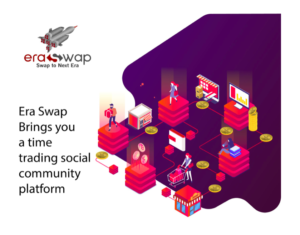 Click here for more information about Bitcoin PR. The post CoinGate and Louis Chevrolet Swiss Watches unite forces to fight with a rare disease appeared first on Bitcoin PR Buzz.